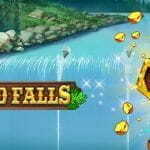 Swedish casino software development firm, Play’n GO, has released its first new slot for 2019, a Gold-Rush-themed game called Wild Falls. Officially released on the 24th of January, 2019, the Wild Falls slot features a five-reel, three-row grid with 20 different paylines, paying only from left to right. It offers a solid return to player (RTP) percentage of 96% and a ‘High’ volatility rating. 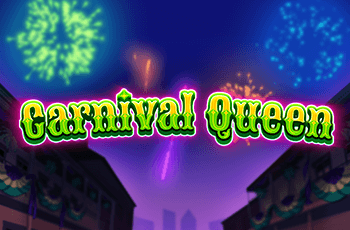 The game has been developed to be able to be used across multiple platforms, meaning that, like most of the latest Play’n GO games, it is also optimised for mobile devices such as smartphones and tablets, as well as laptops and desktop computers. The game is available in 37 different languages, including English, Italian, German, French, Chinese, Spanish, Danish, Finnish, Japanese and Korean, among others. The Wild Falls game features a number of additional gameplay attributes which Play’n GO says make it stand out from the other games in its portfolio, paving a new way forward for the company in the new year. The first feature is the ‘Gold Rush’ feature, in which all of the chest symbols on the grid, turn gold. The chests are both a Wild and a Scatter, depending on the combination of them on the grid at the time. The gold chests contain hidden multipliers of either 2x, 3x, or 5x, combining to create a possible maximum of 125x the wager. Next is the ‘Rapid Re-Spins’ feature, which is triggered when one or two chests appear on the grid. After wins are paid out, the Wild symbols become sticky and remain on the grid while all other spaces on the reels spin again. If another Wild symbol is found, it also becomes sticky and will also pay out the winning paylines, spinning again until a third re-spin has occurred. Should this happen, it will trigger the ‘River of Gold’ free spins feature. The River of Gold feature keeps the chest symbols on the grid, ‘walking’ them down one position on the rows with each spin until they disappear off the bottom of the grid. As well as being triggered through the Rapid Re-Spins feature, it will also trigger if three chests land simultaneously on reels two, three or four. There is also a ‘Super River of Gold’ version of this feature, which Play’n GO explains works in the same way as the River of Gold feature, but the chests are now gold like in the Gold Rush feature. Again, they have hidden multipliers attached to them. This has the highest payout potential of any of the bonus features to this game, reaching up to a maximum of 10,000x the wager. This feature is triggered when three gold chests land on the grid during the Gold Rush feature. The slot release continues the positive start to the year for the Swedish firm, which also took home the “Slot of the Year Award” for its for Legacy of Egypt game at the AskGamblers Awards in January. 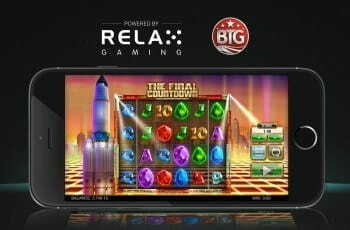 This award is reportedly presented to the slot game that has received the most votes from people who actually play the game, as opposed to many other industry awards which are chosen by a panel of industry professionals. “We are extremely pleased to receive this award. We look to create the most fun and innovative content for players and winning Slot of the Year here proves that we are doing that,” Törnqvist said when accepting the award. The awards night took place at the Hyatt Regency Hotel in Belgrade, Serbia, on the 17th of January 2019.